The Nissan Figaro was one of a series of Retro Mobiles produced by Nissan in that era. Another was the “S-Cargo”. There’s a blue Figaro I’ve seen in Sacramento. Yes, I would own one! 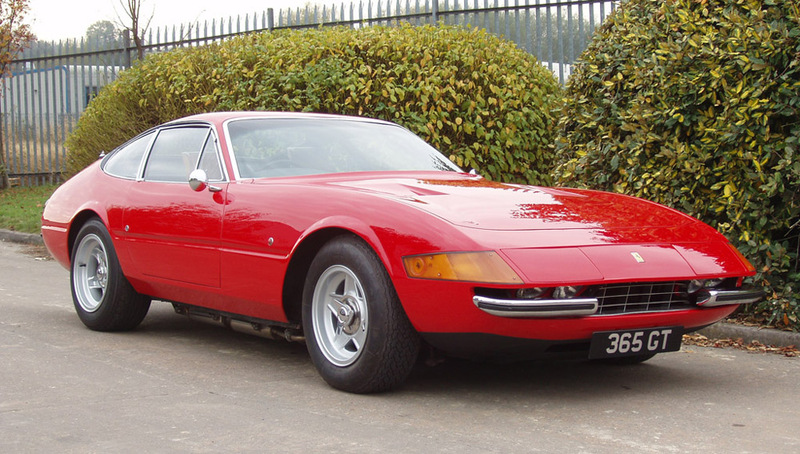 That Ferrari Daytona is one of my favorite Ferraris. What a fine design! Many thanks, 56packardman. I think I’ll pass on the Mopar hemi, though. Ironically, it has exactly the same bore and stroke as the LS7 Chevy engine, which is naturally aspirated. A link to the LS3 from Chevrolet. The Nissan is cute; however with my old body, I would have trouble getting in and out as it does not bend easily to get into small cars. The most important line in your paragraph about Earl Weaver and learning it the last. There is so much I do not know and I try to learn something new everyday. Thanks again, Philip. I have been in the Figaro and don’t remember it as being particularly difficult in terms of access and egress.